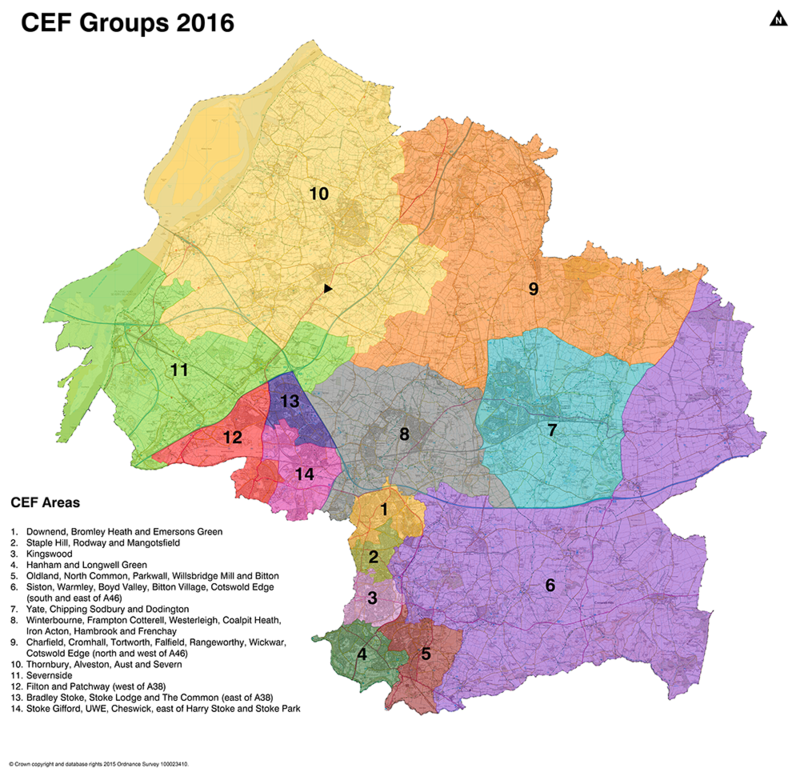 Community Engagement Forums (CEF), previously known as Safer and Stronger Community Groups, in South Gloucestershire are about listening and responding to local people’s real issues. People in their communities know best what works for them and what their real needs are. CEFs have been developed through working with various partner agencies including the Avon & Somerset Police, Avon Fire & Rescue, health, town and parish councils and local organisations. CEFs are also about working in partnership with elected members; we aim to provide a platform for building strong and cohesive communities in which everyone, regardless of background, has a real sense of community involvement. Please see the map below or download a higher resolution version and the briefing note which outlines the key changes intended. In the meantime, please feel free to contact us for any further information.